AirPort Express is a Wi-Fi base station. Besides acting as an internet access point, it can be used to extend the wireless range of your existing Wi-fi base station, printer or audio server. It allows up to 50 multiple users to connect to the current network. You can access different devices through this device, so you will not have to set up multiple base stations. Every device has a default password which can be used to connect devices. Today we are going to tell you what is the default password for AirPort Express and AirPort Extreme. What is the Default Password for AirPort Express and Extreme? The default password for AirPort Extreme and Airport Express is “public”. After you reset the AirPort Express or Extreme to factory defaults, the default password is “public”. If your AirPort Express stops responding completely or you forgot its password, you may need to reset it to its factory settings. It erases all of the settings you have made and resets them to their original values. On the back (where the plug ins are) there is a small hole above the 3.5mm audio jack about the size a paper clip can fit in. So there are three steps to reset your airport express. Disconnect the base station from its power source. Press and hold the Reset button with a pen, pencil or straightened paperclip, then plug the base station back in a while continuing to hold the button for approximately 5 seconds until you see the three status lights glow. You are all done! You have successfully reset your AirPort express. 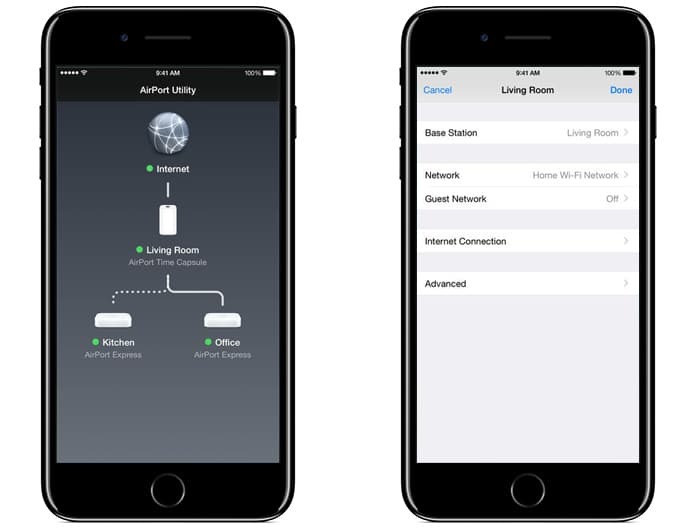 AirPort Extreme is a dual-band router, and it can be used as a wireless range extender, and you can link an external hard drive to it for wireless Network Attached Storage (NAS). 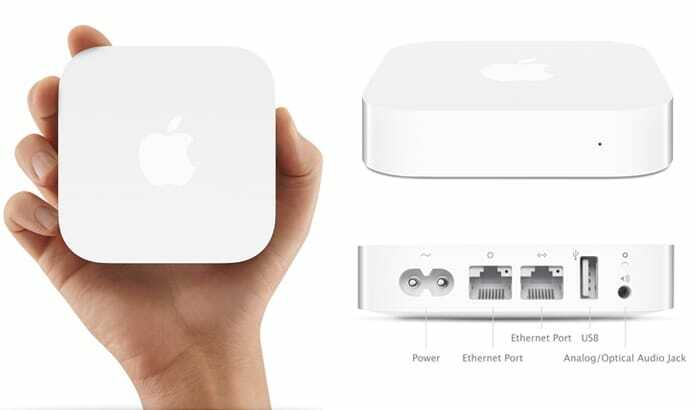 It also has four-gigabit ethernet ports so you can create a wired network with it that has a fast data rate of 1.3GBps just like airport express, you can reset your airport extreme device to get access to its password or to make its functionality better if there are any problems. If you are facing problems concerning wireless security and want to change the password or network SSID you can do it simply. 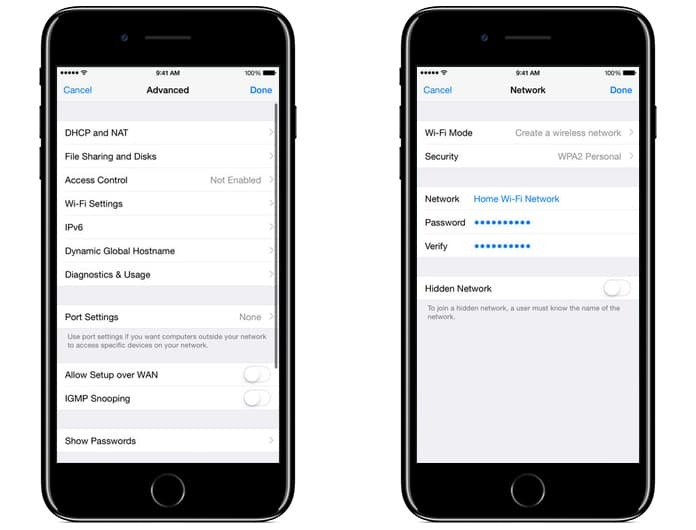 There are some steps through which you can reset the password of airport extreme by your using IOS device or Mac. 1. Find the AirPort utility application and open it on your iPhone or Mac. 2. A pop up appears with the visual diagram of your network. 3. Click on your Airport device and click Edit. 4. You will get the setup and configuration tools for airport extreme device. 5. Click on Wi-Fi Settings tab. 6. All the Wi-Fi settings are here on this page. To change your Wi-Fi password click on a new password in the box named Wireless Password and confirmed it in the box named Verify Password. 7. You can also change the security type and wireless network name here by clicking on that box. 8. Once you modify the password or other settings, click Done to save the changes. Your Airport device settings will be rebooted, and the updated settings will be kept. Now you can use the new password you have set to it.